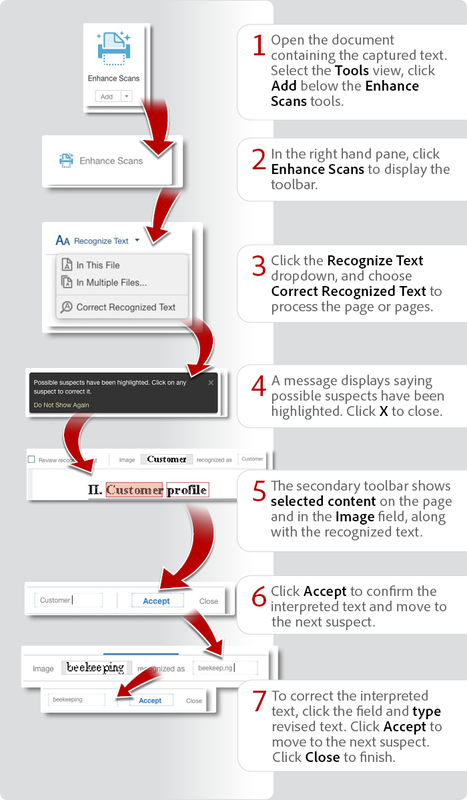 Learn how to use the Correct Recognized Text tool in Acrobat DC to find and correct OCR PDF errors. In this tutorial, learn how to use the Correct Recognized Text tool in Acrobat DC to find and correct OCR PDF errors. When you use Optical Character Recognition (OCR) to convert an image of a page into captured text, there are usually characters that can't be absolutely identified. This tip tells you how to find and correct those errors.